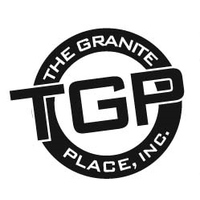 When The Granite Place opened its doors in June 2005, we set our goal to be the premier supplier of stone products for the greater Sarasota area. We are proud to say that we have far surpassed that goal. Although we are wholesalers and do not sell directly to the public, we offer homeowners a customer service selection process in conjunction with their stone fabricator (the person who actually measures, cuts, and installs the stone). We’ll work directly with fabricators and notify them of your selection, and in the event you don't have a fabricator, we can assist you in finding the right one for your project. Architects, builders, designers, and homeowners often meet at our spacious and comfortable showroom to review plans and confer on stone choices. In most cases, we can deliver the selected material to your fabricator within 12 hours. Please visit our state-of-the-art warehouse and showroom and give our courteous and knowledgeable staff the opportunity to help you. Whether this is your first or fiftieth stone redesign project, we welcome the opportunity to assist you through the process.